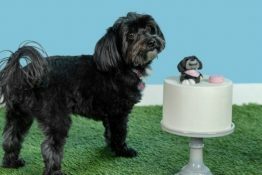 We were a little behind schedule in letting Daisy open her June BarkBox but it was worth the wait. 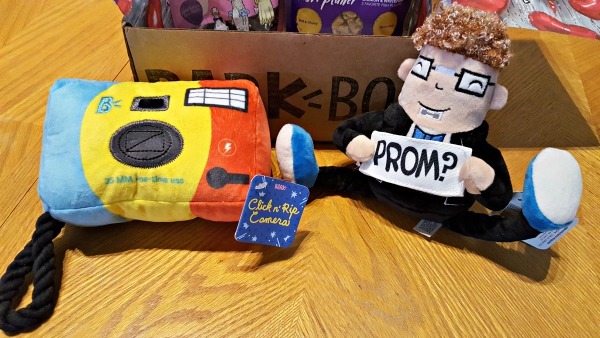 The theme was Squeakhearts Under the Stars and it was truly prom-tastic, complete with prom-posal, corsage, and more fun surprises! 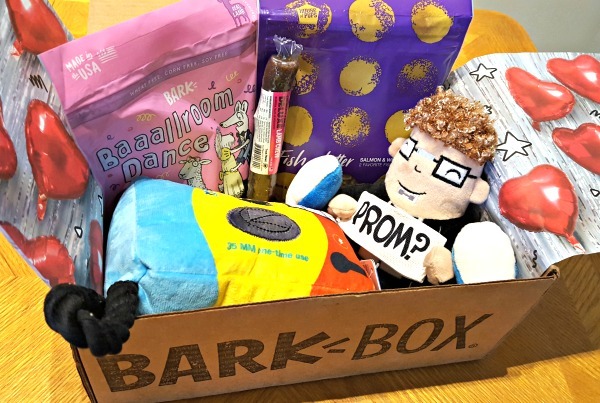 In case you aren’t already familiar with BarkBox, it’s the most popular monthly subscription box for dogs and each box is customized for your dog’s size and food allergies. 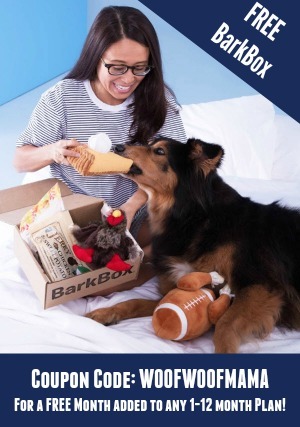 Daisy gets the large dog box which is shown here, but whatever size your dog is, they will get the same number of toys and treats…usually 2 fun dog toys, 3 full-size bags of treats and 1 tasty chew. 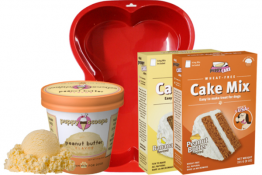 Often there are additional surprises and goodies thrown to go along with the monthly theme. 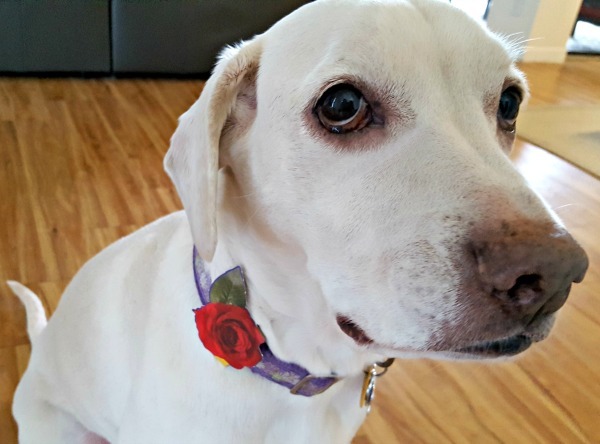 Baaallroom Dance Dog Treats ($8 retail value) These lamb and duck dog treats are great for dogs with a sensitive tummy (like Daisy) and are super tasty (according to Daisy). No wheat, corn or soy. Fun short sticks make them the right size for stuffing in puzzle toys. Fish Platter Dog Treats ($8 retail value) Made with salmon and whitefish; soft and chewy. 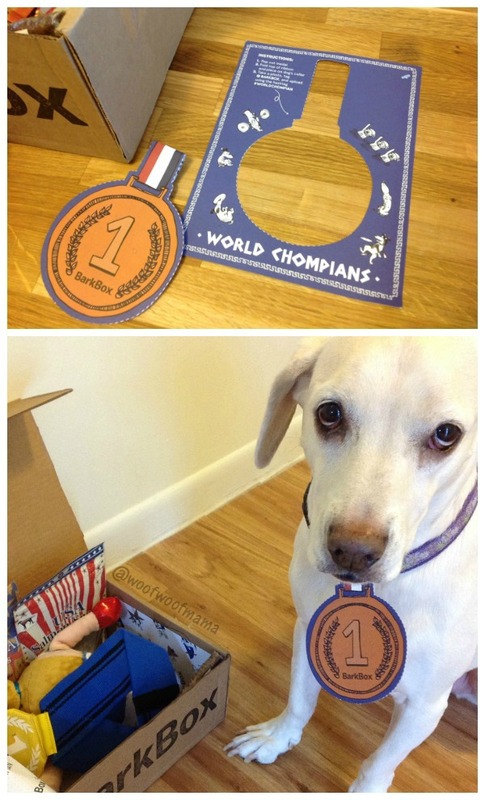 I like how tiny these dog treats are which makes them perfect as pocket treats while training or out for walks. This full-size bag will last a LONG time since we can dole them out in such small portions! Deluxe Lamb Chew Stick for Dogs ($4 retail value) Etta Says! 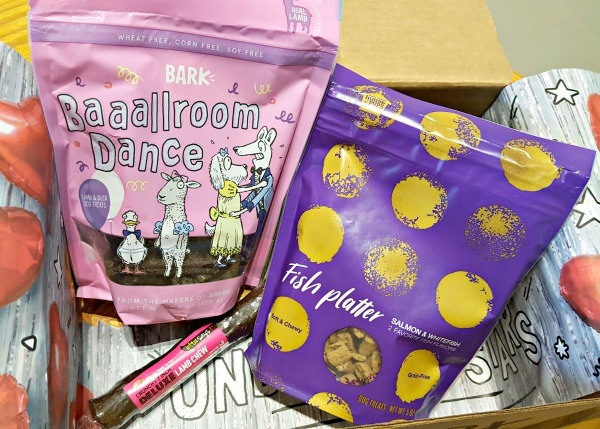 is one of our favorite brands for meat chews and this crunchy stick doesn’t disappoint. 7″ of tasty lamb. 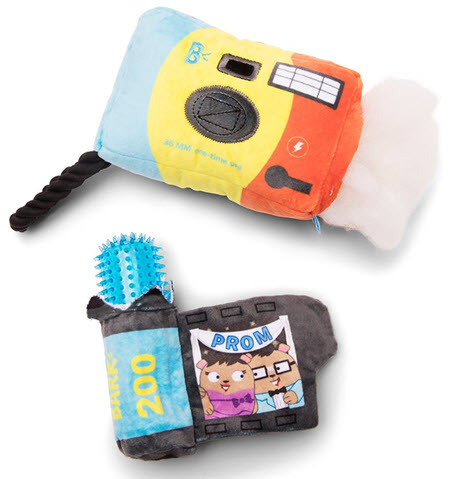 Click n’Rip Camera Dog Toy ($16 retail value) It’s been a while since I’ve seen a disposable camera but this one has an extra special surprise BONUS TOY hidden inside! 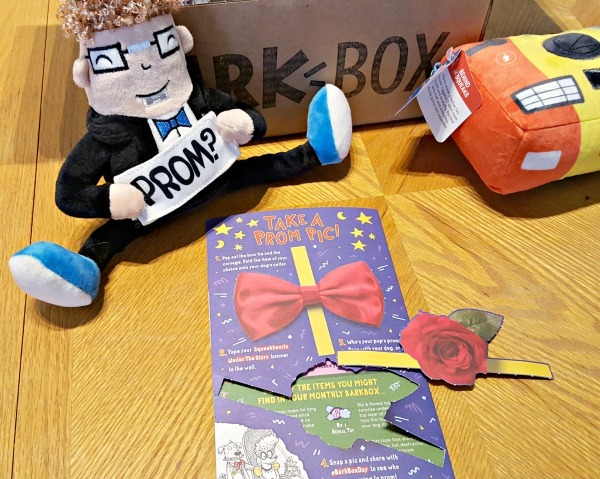 The info card that came in this month’s BarkBox had perforated tear-out prom accessories: a bow tie and a rose corsage. 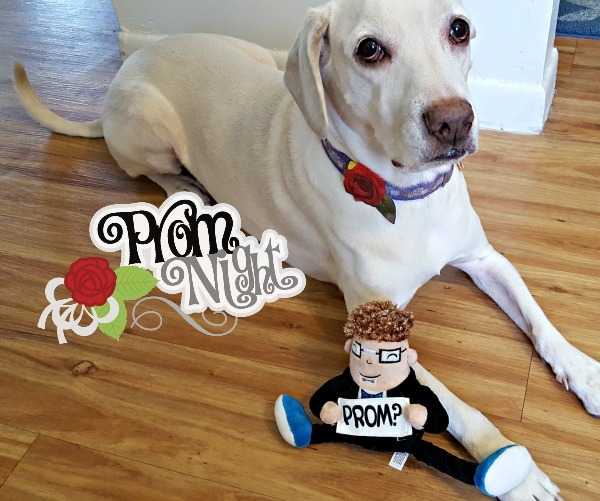 Just what every dog needs for those perfect prom pics! 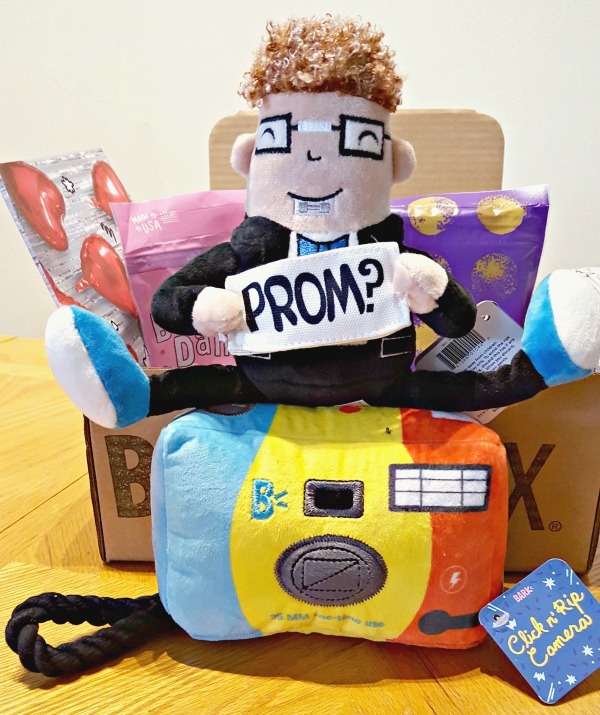 Don’t miss the chance to snag this one-of-a-kind custom BarkBox, the perfect gift for the dog dad in your life! 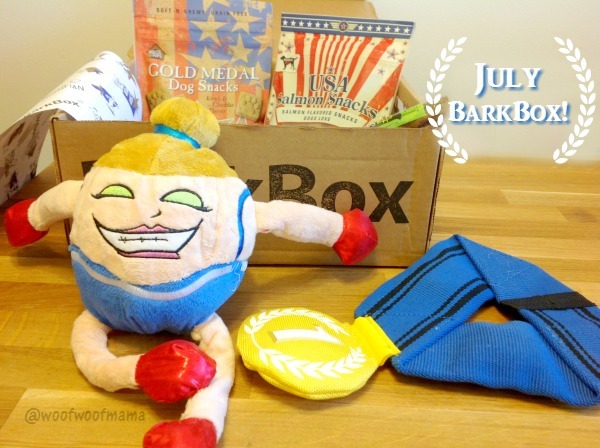 This limited edition Father’s Day BarkBox is loaded with a special assortment of dog toys and treats, available on its own as a gift box or as the start of a BarkBox gift subscription. 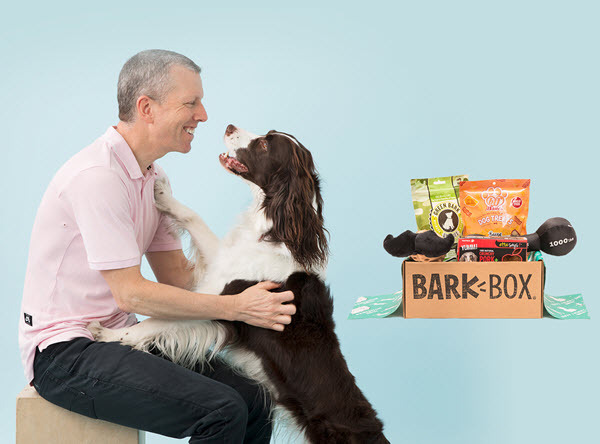 Dog lovers who order before June 11 will receive the custom Father’s Day gift BarkBox, while supplies last. 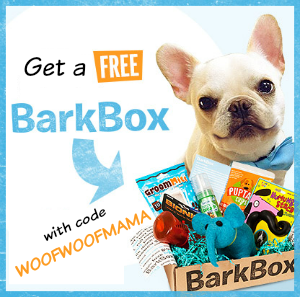 Visit BarkBox HERE to get it while you can. 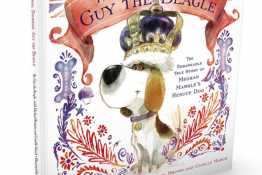 Looking for more Father’s Day gift ideas for dog lovers? Check out this list! 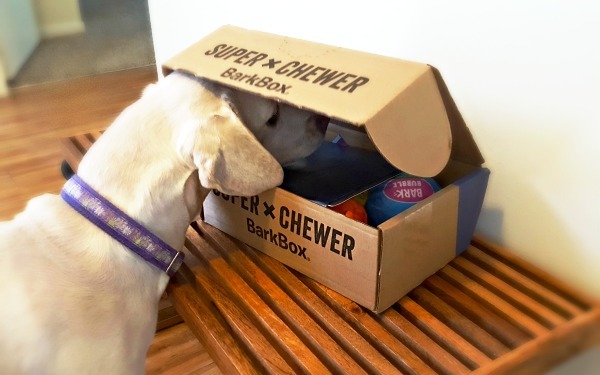 Dog lovers, you’ve got til 5/27 to use this link and snag an extra toy FREE in every box when you sign up for a 6-month OR 12-month BarkBox Super Chewer subscription. 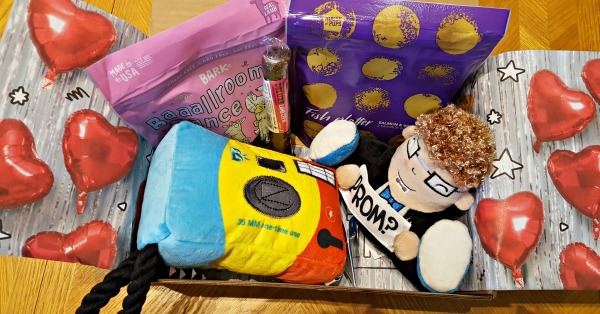 To claim this Extra Toy Club membership offer, GO HERE and be sure to select ‘Yes, Please’ when you see the Pupgrade prompt. Free Shipping is included for US and Canada. 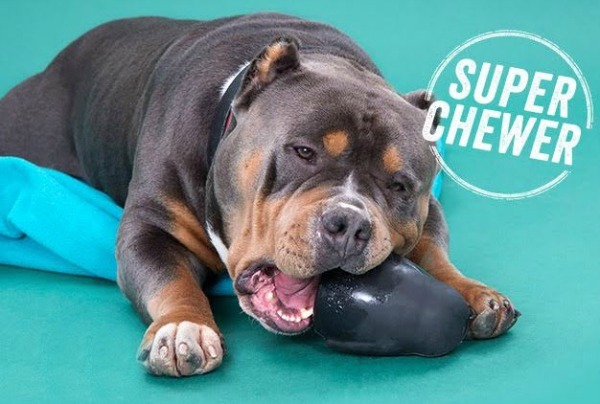 Check out our Barkbox Super Chewer reviews to see photos and descriptions from some of our favorite dog subscription boxes!